At Lalandia we love having guests. Actually, we are so happy to have guests that being a great host is our highest priority. When you visit Lalandia as a guest, for us it’s as if you were visiting us in our private home. It’s really that natural for all our employees. A huge thank you to all of you who come and holiday with us, and thank you for choosing to recommend and vote for us when awards are being handed out. The high level of guest service, our two fabulous tropical holiday centres and the beautiful surroundings mean that Lalandia has now received top marks for several years running and won a number of international awards. Hotels.com customers who have stayed at Lalandia described Lalandia as an accommodation option that consistently delivers great service and offers a memorable guest experience. 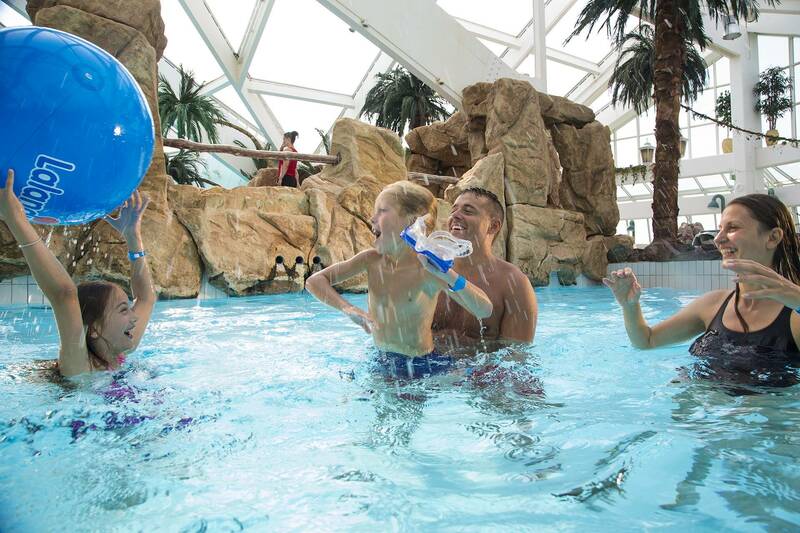 The Dutch magazine, Kids Vakantiegids Magazine, has placed Lalandia and LEGOLAND in their top 10 of the most child-friendly destinations from among more than 100 holiday parks and centres in Europe. On Trustpilot, the reviews contain both praise and criticism. Lalandia receives an average of four out of five stars. That’s a high score, which we are very happy about. Many guests come to Lalandia because it has been recommended by family and friends. 90% of our guests recommend us to family and friends for a visit. On Holiday Check, one of Europe’s largest sites with reviews and reports in the field of tourism and hotels, Lalandia scores 5.9 out of 6. Do you want to experience everything that Lalandia has to offer? You’ll find prices and current offers in our online booking system.